So, my plan was to get some RGB LED strip lights, hook them up straight to the arduino and control them with MIND POWERS! This would give me some nice lighting effects while the game is playing. 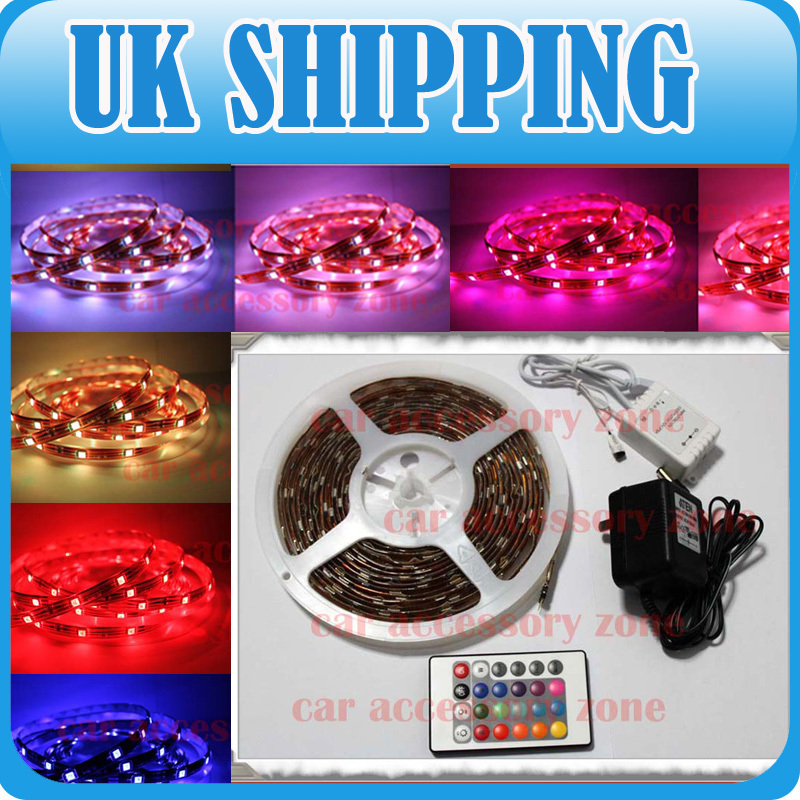 Problem was, not all RGB LED strips are the same. 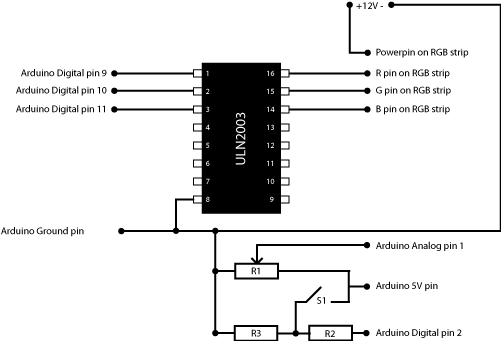 I didnt know this until I got the strip and found out that the circuit wasnt working and that i was grounding what the diagram said should be the power line just to get it working. They also fade in and out so they can clearly do what I want them to do, it’s just getting it working via arduino. What I had got was an RGB strip with a common cathode, a very unusual set up for RGB strips. DAMN YOU EBAY. I had no idea how to get this working and there was no pre existing help online so i went on the arduino forum and asked for help. Luckily, the kind people gave me a nice circuit diagram telling me exactly how to wire it up. I got myself the needed parts, some transistors and resistors, and got it working! hooray! Problem, one of the transistors was actually backwards compared the other set, I didnt realise this at first until my arduino wouldnt let anything upload to it, turns out instead of grounding my circuit, I was sending 12v straight to the board. It does cause some problems. I did see that the arduino was controlling the lights just before it shorted out though, so thats something. I have since rectified this problem, and the lights light up and no power is going back into the board. 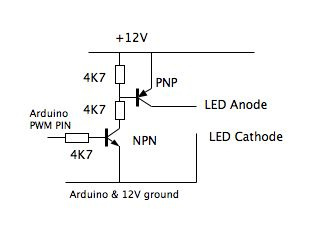 I know this because, when there was no usb in the arduino and I powered it up with the backwards transistor, the board would power up, now the lights light up and no power goes to the arduino, so everything should be grand. Luckily, I got my code backed up, fixed my circuit and ordered a new arduino. An expensive mistake that one, but never mind, I learned something about electronics now.